Founding member and costume designer for the Finnish metal band Lordi. He was interested in playing guitars before he even began school, and he was first introduced to glam metal through KISS's 1983 album Lick It Up. 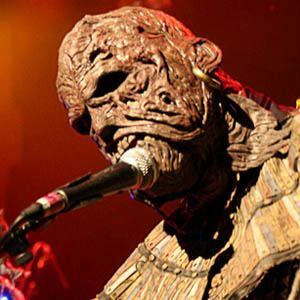 His character in Lordi was the mummified Amen, the God of Gods, who woke after a thousand-year slumber to play guitar with the group. He grew up in Mäntsälä and he got his first guitar as a present from his parents at age five. Tomi Putaansuu, otherwise known as Mr. Lordi, was the frontman of the band.